Our goal is to make family history a collaborative, easy, fun and enriching experience. We’re eager to show the world a product that, we believe, will change the way people share their family history. "I’ve been able to gather and preserve so many special family keepsakes. 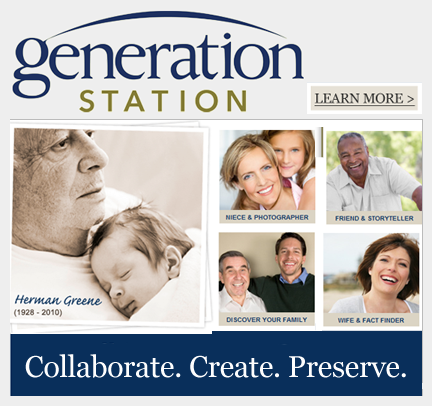 GenerationStation could not have made it any easier!" We are in our private beta stage which means we have limited the usage of our site to a small group of people. Not to worry, we will be lifting the curtains for the public very shortly. If you’d like us to notify you when when w open things up, just pop an email to beta [at] generationstation [dot] com (and don’t worry, we don’t spam – spam is for haters). In the meantime, here are a few things you might like to know about GenerationStation. We’re under construction. This is a beta version so there are still bugs & the site is still in development. Constant feedback is vital. There will be a ‘feedback’ link on every page so that you can send us your opinions, issues, suggestions, complaints — we’ll even accept praise! Deceased and Living Profiles are different. There’s a vast difference between profiles for deceased family and living family. We don’t collect or display information on living persons, except for names. Our Goal. 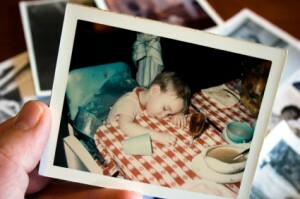 Our goal is to be the largest repository of life stories for humankind organized around the family unit. It is meant for current and future generations. Where else would your life story be preserved? This entry was posted in Featured Main, Site Features. Bookmark the permalink. This too is just a test for the comments. This comment is an ancestor. This is the hierarchical functionality of Word Press commenting. Generation Station is going to bridge the gap for near and distant family members by sharing the stories of our loved ones live. Thanks, to all involved in creating such a great solution to an obvious but overlooked problem. Generation Station is going to bridge the gap for near and distant family members by sharing the stories of our loved ones lives. Thanks, to all involved in creating such a great solution to an obvious but overlooked problem.